Practice Areas: Insurance Contractors All Risks, Litigation, Professional Indemnity, Product Liability, Bodily Injuries. 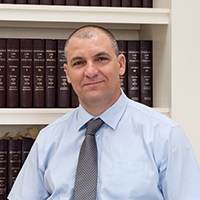 Dror heads the Professional Indemnity Department and the Product Liability Department. In the past twenty years, Dror has specialized in insurance disputes representing Insurers. His work involves litigation in various fields: Property, Agriculture, Bodily Injury, Product Liability, Professional Indemnity mainly of Architects, Accountants and Engineers. In addition, Dror is in charge of the Bodily Injury department of the firm which deals with complicated Bodily Injuries claims, whereby the events took place in Israel and abroad. Dror served for 6 years as Disciplinary Court Judge of the Israel Bar Association and the Vice-President of the Ethical Tribunal of the District of Tel Aviv. Membership: A member of the International Association of Jewish Lawyers and Jurists. A member of the Israel Bar Association since 1996. Dror Zamir Adv. & Hadas Adler, Adv. C.C 3168/09 The Third Step Ltd. v. the Israel Phoenix Insurance Co. Ltd General Background Plaintiff is a company engaged in the business of import and marketing of women's footwear. In December 2006 a fire broke out in Plaintiff's rented storeroom and totally destroyed it and its contents.